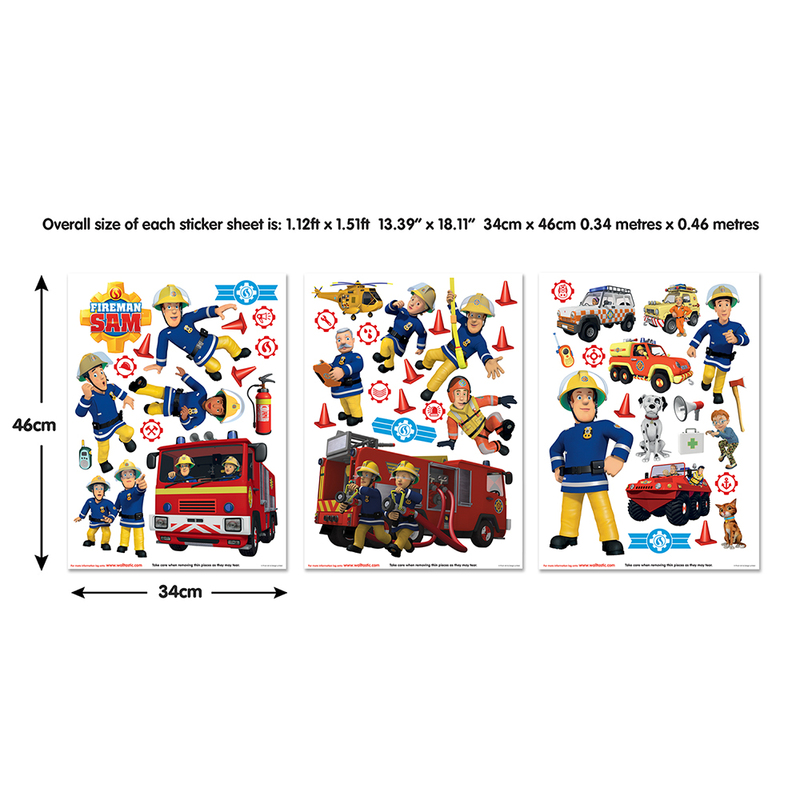 Measurements Each Sheet Measures Apporx: 1.5ft wide x 1.12ft high / 18.11” high x 13.39” wide / 46cm high x 34cm wide / 0.46m high x 0.34m wide - 3 sheets per kit. 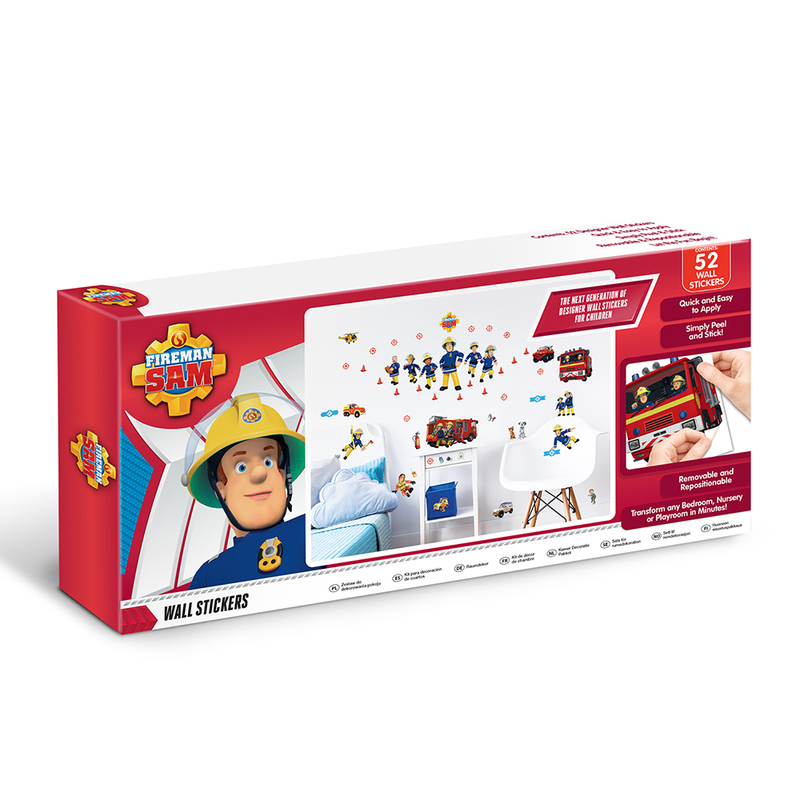 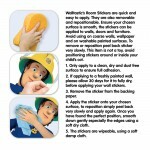 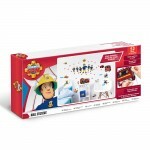 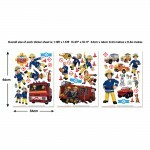 Children who love the bright lights and sirens of fire engines will be delighted when their bedroom or playroom is transformed with these 52 brilliant Fireman Sam Wall Stickers, the 3 sticker sheets include Fireman Sam and his colleagues as well as fire engines and other emergency vehicles, this really is a must for fans of Sam! 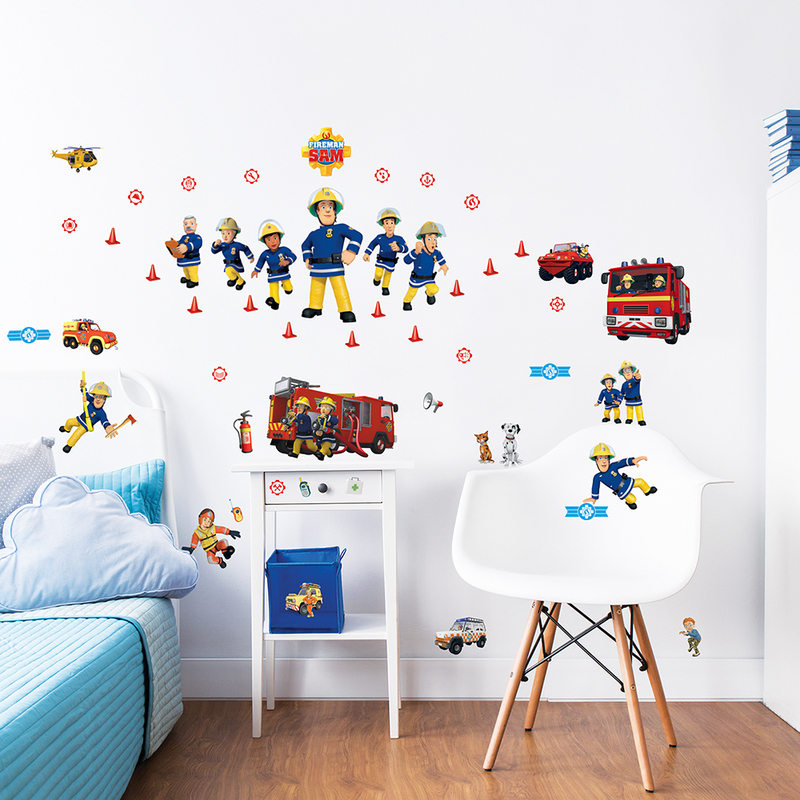 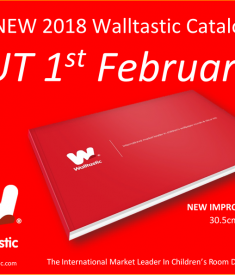 Our unique décor kits can be applied to any wall, and are removable and reusable, making the perfect quick and easy room makeover. 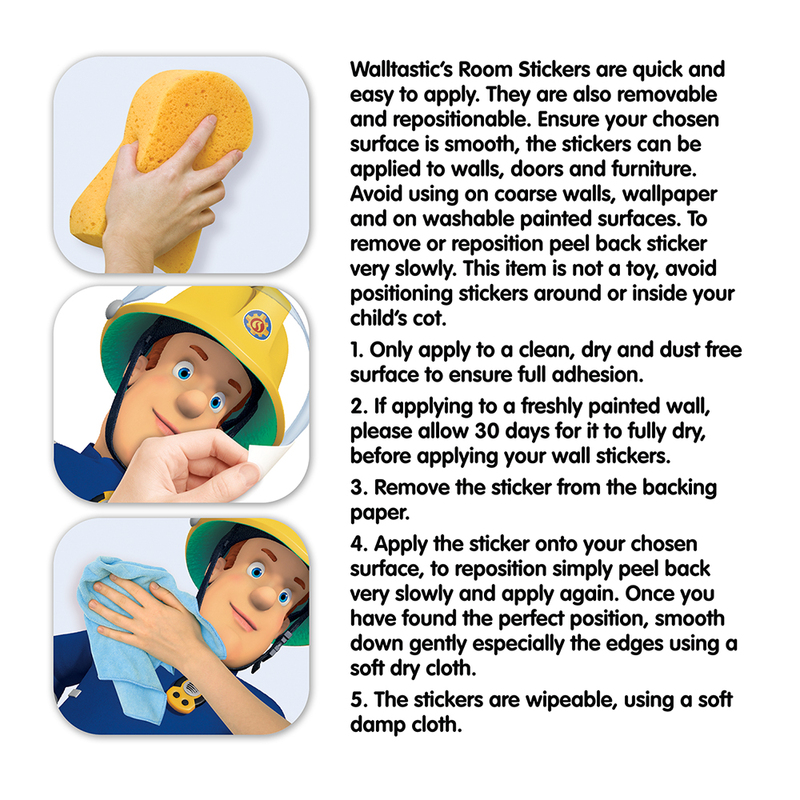 Go create, Simply peel and stick! 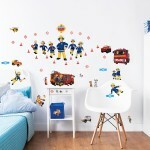 your room has never looked so good.